The History Group of the Friends of Mill Road Cemetery have an ambitious (possibly over ambitious?) 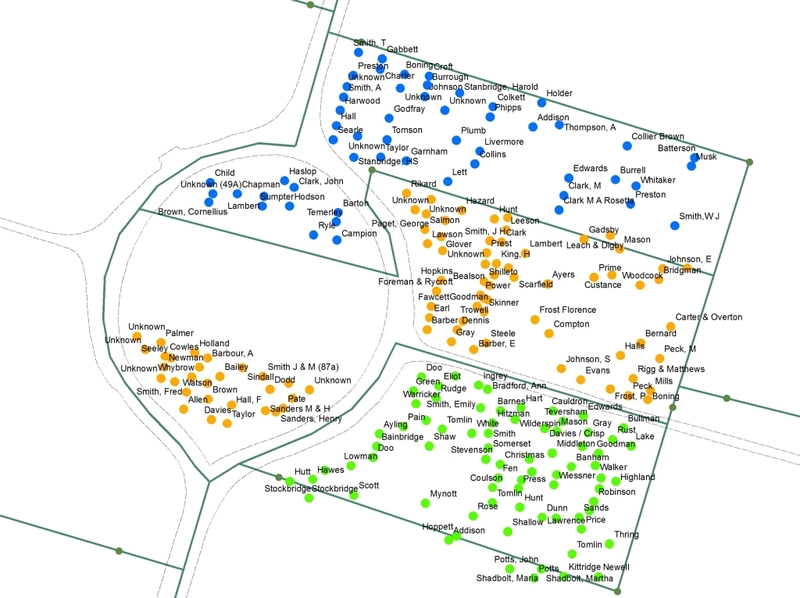 project to photograph each of the 3000 graves in the cemetery, to map their location as precisely as we can, and to research the people buried there. Three members of the History Group will talk about what they’re doing; Caro Wilson will outline the valuable relationship with the Ordnance Survey, Mary Naylor will describe the research and on-the-ground work that is necessary, and Ian Bent will tell one of the many stories we have uncovered, that of Isaiah Deck, pharmacist of King’s Parade. This event takes place in the St Barnabas Centre (the Old School Hall) behind St Barnabas Church on Tuesday 12th June. Doors open at 7pm, the talk starts at 7:30pm. Tea and biscuits and a chance to talk to the speakers are provided afterwards. Admission is open to all and costs £3.